At its worst, the state is immoral. At its best, it is made obsolete by the free market. The prospect of building a community outside of the state sanctioned economy can seem like a daunting task, but with a little creativity the range of actions open to the aspiring ago rist are seemingly endless. The opportunities are all around us, some small and others large, to deprive the state of the resources it uses to aggress against individuals. It is my hope that this list of subreddits will serve as inspiration for members of the community to seek out ways to live their lives free of state intervention. I have intentionally chosen non-ideological subreddits and whenever possible, subreddits that are not listed as “default” subs. I have also attempted to no list any subreddit which is on the sidebar of a subreddit that is already listed. The sidebars of these subreddits are often the most valuable resource, and I would highly recommend reading them to get the most out of the subreddits, including exploring the list or related subreddits many sidebars offer. This subreddit is dedicated to teaching you how to be a free-lancer. There are many skills that can be used to free-lance. Photography, writing, coding, and graphic design are all skills that can be traded in the informal economy. As an entrepreneurial movement, start ups are at the heart of agorism. 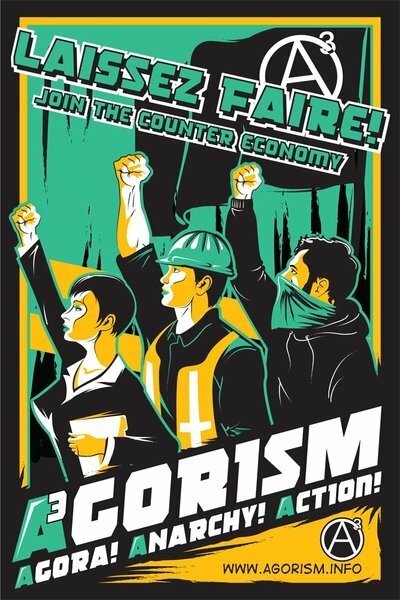 The guides and tips on this subreddit could make the difference between a thriving agorist enterprise and failure. Buying once and maintaining an item, even if it is more expensive at first, can often mean great savings over the life of the item. A n example is choosing to shave with a straight razor instead of buying disposables over and over again. Being able to produce more of what you need yourself is valuable for situations where you can’t otherwise find a state-free alternative. Producing your own electricity and collecting water can reduce your dependence on utility companies, which are often monopolized by the state. Everyone knows that staying in shape is important. By using bodyweight workouts, you can avoid gym memberships, or buying equipment. Personally, I prefer barbell workouts. You can often buy used barbell sets, relatively cheap. Many avenues are available for enjoying your favorite artists work, without surrendering to state extortion and without giving recording/movie/software industry more money to lobby for ever more conspicuous property rights violations through “intellectual property” law enforcement. This subreddit will teach you how to master them all. The sidebar of this subreddit is complete course in buying and selling online. This is a great way for an agorist to supplement their income, or for some, as a sole means of income, derived entirely from the informal economy. Learn the skills necessary to protect your information on and offline, access the internets black markets, and many other activities of interest to agorists. Again, the sidebar here is a wonderful learning tool. Bonus: AgoristLiving My subreddit has a growing collection of practical agorist solutions to life’s challenges. This entry was posted in Free Market Solutions and tagged agorism, agorist, anarcho capitalism, Anarcho objectivism, anarchObjectivism, anarchy, ancap, ayn rand, best subreddits for agorists, food safety, free markets, freedom, libertarian, objectivism, reddit, stateless, subreddit. Bookmark the permalink. Fast Food in a Freed Market Doesn’t Look Like This. AnarchObjectivism by James Hughes is licensed under a Creative Commons Attribution-ShareAlike 4.0 International License. Based on a work at http://anarchobjectivism.wordpress.com.